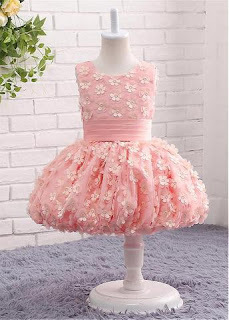 But if I was getting married anytime soon, I would be getting my daughter a flower girl dress from SassyMyProm.com When my 6 year old daughter saw the dresses she screamed in delight and pointed out ten of her favorite. So when debating on which dresses I would show you guys, she helped me out a little bit. I love the look of this dress. The material is from Tulle & it's covered in lace appliques. You can tell the flowers were beautifully handmade. 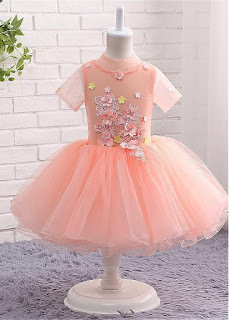 This is probably the most gorgeous dress I have ever seen for a little girl. My daughter absolutely freaked out and begged me to purchase this dress for her birthday. I told her, "If you're ever a flower girl in a wedding, I will buy you that dress." Also made out of tulle, this dress has a gorgeous ball room skirt & beautiful embellished butterflies all over. This reminds me of a princess dress, fit for a little queen. I love the baby powder blue color, I imagine this dress paired with a sparkly pair of mary janes and long flowing curls. 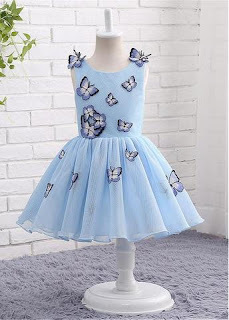 This dress is perfect for your little princess for any special occasion, even a birthday dress. Fancy Tulle Scoop Flower Dress ($184 $82) This was my absolute favorite. It is so girly girl. It screams little pink princess. It's a knee length bubble skirt dress with tons of handmade flowers attached. 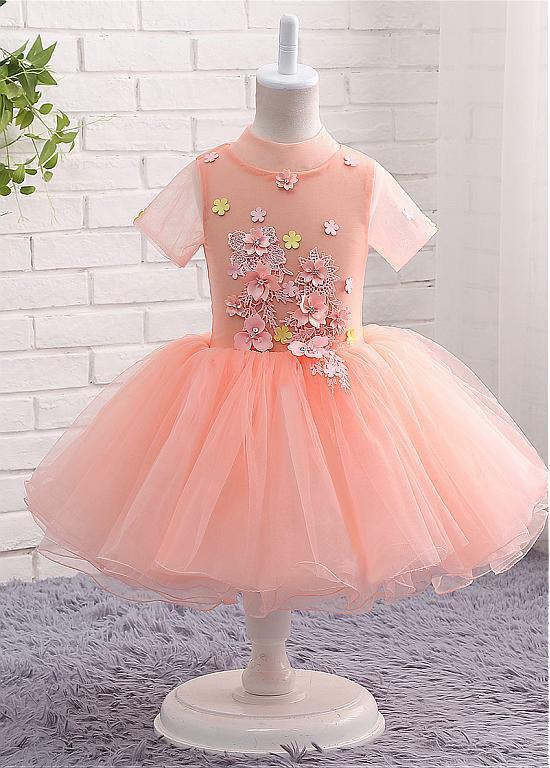 Your little girl will look fabulous with this and a little pink flower headband, I could scream there is so much cuteness wrapped up in this little dress. And the prices are amazing too, where else will you see $100 off a brand new dress? These are just a few of the gorgeous flower girl dresses that SassyMyProm carries. Check them all out here. They also carry wedding dresses, homecoming/prom dresses, and a dress for every other occasion you can think of too! I'm so very happy I found SassyMyProm. Now I just need a wedding to go to!